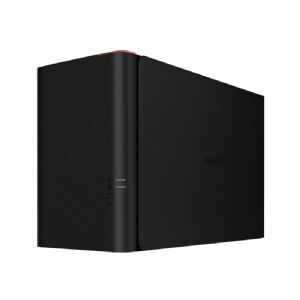 Buffalo�s TeraStation 1200 is a compact, budget friendly two drive desktop network storage solution ideal for small businesses, home offices and professional users requiring a reliable RAID-based network storage solution for advanced networks and business critical applications. TeraStation 1200 is easy to set up with customizable RAID data protection, and it provides exceptional performance during file transfers and everyday NAS functions. TeraStation 1200 is packed with professional features such as Active Directory support, disk quota support, share level replication, hot-swap hard drives, USB accessory support and ten licenses of NovaBACKUP Business Essentials.